Thanks for choosing Coldwell Banker Best Realty in Tehachapi, CA! We offer a full complement of real estate services, including locating, evaluating, marketing, selling, leasing, and managing residential, commercial, and investment properties, lot and land sales, and new home construction. The Tehachapi office serves Bear Valley Springs, Stallion Springs, Tehachapi City, Golden Hills East, Golden Hills West, Brite Valley, Cameron Canyon, Cummings Valley, Alpine Forest, Mountain Meadows, Oak Knolls, Old Town, Old West Ranch, Sand Canyon, Keene, Hart Flat, Mojave and Rosamond. 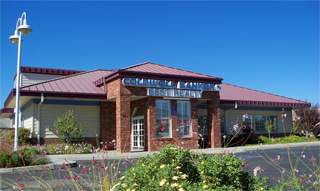 For many years, Coldwell Banker Best Realty has been the #1 choice for real estate services in the Tehachapi area. We are the preferred choice for real estate services in the communities that we serve, as indicated by our #1 ranking in sales volume year-after-year. The interests of our customers and clients are first and foremost in everything that we do. As we are responsible for their complete satisfaction, their needs and concerns are the focus of our efforts. Our success in the Tehachapi market is a reflection of the skills, knowledge, professionalism and hard work of our sales associates and management. Our success is also a validation of our extensive marketing efforts, including wide use of the Internet, print media, direct mail, and open houses to promote our clients' properties. Whether you are buying or selling, when it comes to representing you, we do more for you. Please feel free to search listings from the entire MLS from our site, and if you have any questions or would like to preview any of the listings, please call us at (661) 822-5553 or CLICK HERE to send us an email.